CitySwoon holds the official Guinness World Record® for the World's Biggest Blind Date. 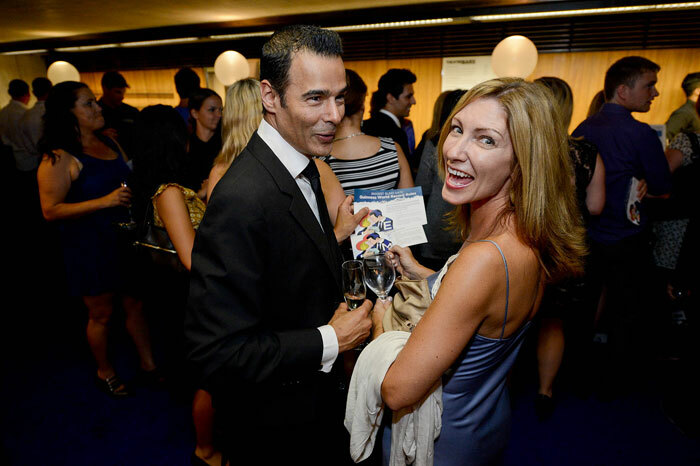 Held at the iconic Sydney Opera House on the Friday 21st February, 712 Sydneysiders took their place in history at what is surely Sydney's most prestigious singles party. There were some amazing statistics from the night, 36% of people gave their date the highest possible rating, saying that they would like to see them again. People were not only matched to their dates but also more loosely to everyone in their group of about 24 people. A whopping 72% of people wanted to see someone that they saw or met on the night again. We're pretty happy with the success of the matching algorithm! There was also a lot of positive feedback about how friendly the night was. You can join in on other fantastic CitySwoon Date Nights here. 73% of the people were university educated, only 44 participants, out of over 700, set their personality type as 'private' or 'very private', the average age was 32 and only 3 people in the whole room were predominantly looking for a casual relationship!